I'm a Damsel. I'm in distress. I can handle this. Have a nice day. Disney princesses are great and all, but they're pretty much just a cool color pallet and animal companion. The real lasses worth looking for are the ones who want to handle the problem all on their own! As is true with all Disney's hair, it's impossible to get that classic animated do without a lot of help. Or, in this case, you could keep it simple and get a little help from us! This wig gives you the tall ponytail with the gold hair clasp that will make you feel like you've popped straight off an ancient Greek urn. When it comes to playing epic Grecian characters, you simply can't go halfway. 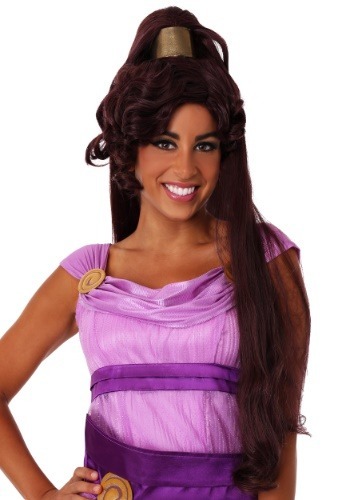 After all, Hercules literally swam the river Styx in order to get Megara back. So you simply can't leave that tell-tale hair out of your look. Warm up your sass powers and throw on your wig. 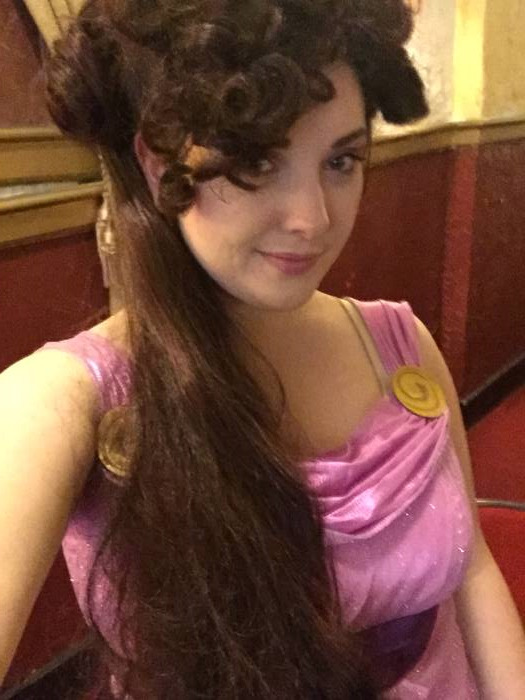 Hercules isn't much without the heroine, Megara! This wig got a lot of compliments! When I wore this wig, I got a lot of compliments on it! It reminds me of the 90's DisneyWorld character, as the front bangs are curly. The top part where the ponytail rests is top heavy so it needs extra security to stay on your head. It was VERY well made, which surprised and delighted me! If I ever need anymore costumes, this is the place to go! This wig did what I needed it to do. The only issu I found was the hairline didn’t match the shape, and the inside adjustment strap didn’t stay where I needed it to. 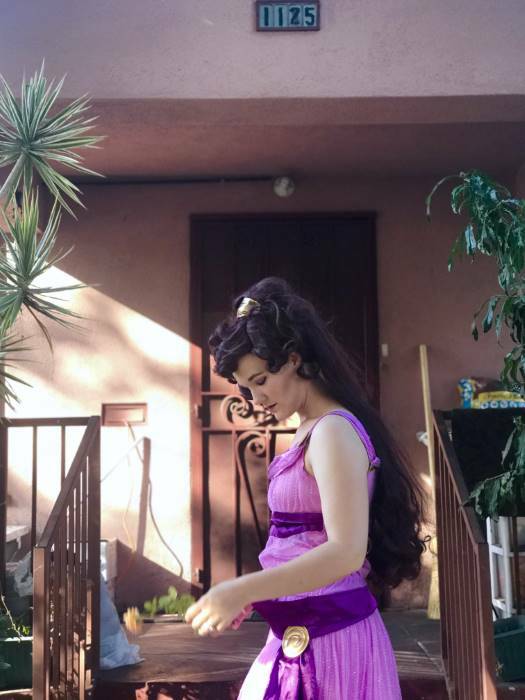 I was able to use bobby pins to keep it (mostly) in place, and styling the wig itself off to the side helped with the odd angles. It’s a good wig, even though the ponytail tangled almost immediately. It was worth it to bring my costume together. Absolutely love this wig for the price! The front is nicely styled and the pony tale seems thin but does not look it at all. It is heavy. I plan on adding clips to the side and a giant claw under the pony to keep it in place and avoid using excess bobby pins. This wig is super cute and does look very much like the picture, but it is incredibly heavy! I'm not sure if i have a tiny head, but it seems very big. I think I'll need a ton of bobby pins to keep it in place.